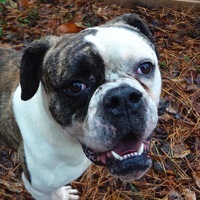 - Louisiana American Bulldog Rescue - ADOPTIONS - Rescue Me! 4/20/18-0 Batman is a male Bull Dog and is 2 yrs old and weighs 49 lbs. He is neutered. Will be available 4-20-18.